Item 1: A New Church & School. 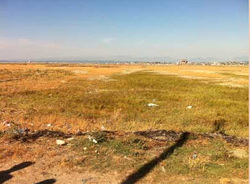 This is the site for a new church, school, soccer pitch, basketball court and amenities for a large village in Durres. Heart To Hand will provide the new church complete with all furniture & fittings. The building will consist of a steel frame, insulated panels to walls and roof, PVC windows and doors, classrooms will be constructed from timber frame and the entire building will be painted internally. All electrics and plumbing will be installed. Heaters and air conditioning fans will be installed. Item 2: A New School and Park. This is the overall plan for the village where we are building the church/school. Their dream is to surround the church with a new school, play areas, basketball & soccer pitches and much more. This will take years but with the help of Heart To Hand, the first building will be completed in early October. This will give confidence to the village and with their help and funding from Heart To Hand; their dream will become a reality in 2013/14. 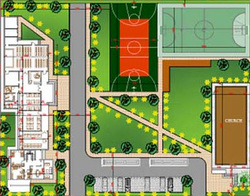 This large project will also create jobs for teachers and construction workers and help many people in the village. 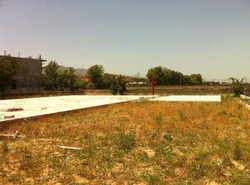 Item 4: New Church & School, Shkoder. 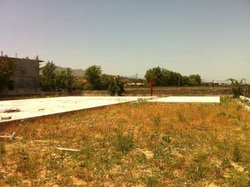 This is a site in Shkoder where Heart To Hand will construct a new Church and school. 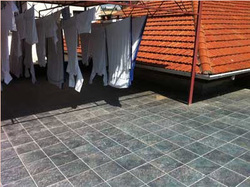 We will provide the structural steel frame, the roof, fascia and soffit, gutters and all necessary weather proofing. The walls will be constructed using local labour which will be of great value to them. The windows and doors will be sourced locally again giving much needed employment in this very poor area. Once the building is completed externally the fit out can begin, again all local labour will be used and all materials purchased locally. This will be a huge boost to this parish. Item 5: New Church & School, Lac. 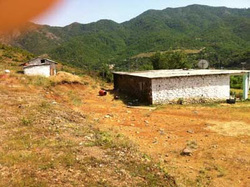 Similar to the above project, This is a site in Lac, where Heart To Hand will construct a new Church and school. We will provide the structural steel frame, the roof, fascia and soffit, gutters and all necessary weather proofing. The walls will be constructed using local labour which will be of great value to them. The windows and doors will be sourced locally again giving much needed employment in this very poor area. Once the building is completed externally the fit out can begin, again all local labour will be used and all materials purchased locally. This will be a huge boost to this parish. Item 6: New Roof to this House in Rubik. This house had some running repairs last year as the crew were heading for the Airport. 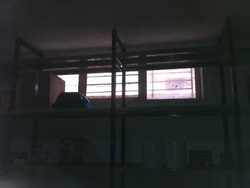 We left funding for new windows and a door, which were installed. This year heart To Hand will give the house a complete new roof as the existing is ready to collapse in on the family of 7. Once the new roof is completed the crew will undertake the supporting of the concrete roof to the new roof structure to make it safe. As usual there is no road to this house and all materials will have to be carried a long distance on rough terrane. The convent in Tirana is base to a host of activities, including soup kitchens, care of the elderly, care of the disabled etc. Item 8: Stainless Steel Extraction Hood. 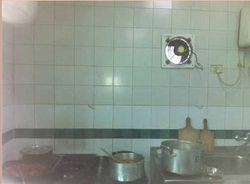 The soup kitchen in Tirana will be upgraded this year by the Heart To Hand Crew. We will install a 2meter stainless steel extraction Hood complete with a large extraction fan to replace the small one in the attached picture. The electrics will be upgraded and support will be installed in the ceiling to take the weight of the new extraction hood. Item 9: Large extraction fan. 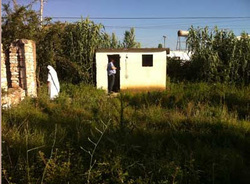 This is the food storage area in Tirana 1. Heart To Hand will install a new extraction fan as the current system is not sufficient. All electrics will be upgraded along with the installation of the new electric extraction fan. As you can see the shelves in the store are quiet empty. Heart To Hand will aim to fill these with food when the 2 articulated Lorries will be heading to Albania in September. If you can help in any way please contact Kieran Byrne. Item 10: New Roof to this house in Lac. 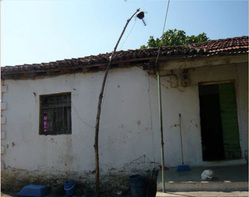 This is home to a family of 6 in North Albania. This time of year with the sun shining it looks great but in winter they receive the same conditions as Ireland. The roof is in very bad repair and is leaking in several locations. Once the water gets in, it starts to rot the timber structure and with the weight of the tiles it’s not long before it collapses. This was a late ask from the Sisters, but Heart To Hand with your help can help this poor family.